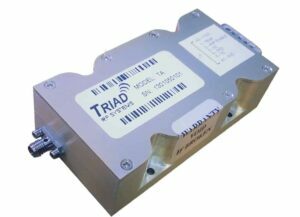 Triad RF Systems is a leading designer and manufacturer of RF/Microwave amplifiers and amplifier systems with decades of experience in designing with all types of semiconductors. 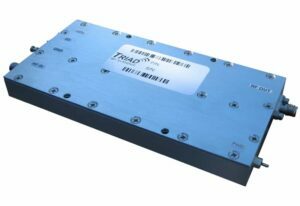 We offer a wide range of products that push the limits of size, efficiency and linearity, providing state-of-the art solutions to our customers’ amplifier requirements. Our high-performance products are ideal for the aerospace, defense and telecommunications markets, particularly for the demanding environments of unmanned vehicle systems. 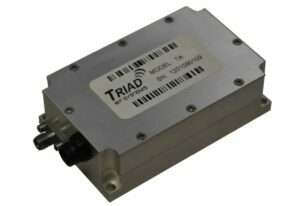 Our bi-directional amplifiers are ideal for unmanned vehicle applications, such as extending the useful range of high-speed data links. 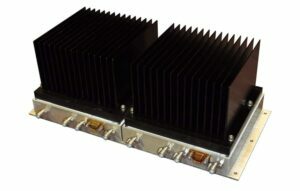 These high-linearity, low-noise amplifiers are already in operation on several different unmanned aerial and ground vehicle platforms, including the Penguin B, Bat 12 and Shadow M2. We use whichever FET technology (GaN, GaAs, or LDMOS) best suits the customer’s application, maximizing linearity while optimizing DC power consumption to preserve mission life. 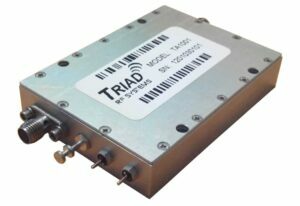 Our amplifier models operate in bands from 20 MHz to 8 GHz. 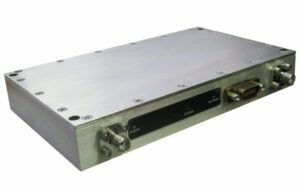 Typical RF power values for the transmit section are 12/25 Watts of RF power for BPSK, 9/12 Watts for QPSK, 8 Watts for 16 QAM and 5 Watts for 64 QAM. 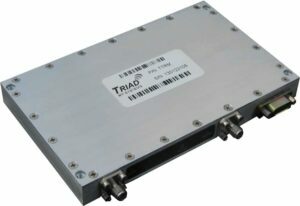 The receive section features a low-noise amplifier with 11 dB of gain, with a typical noise figure of less than 2.5 dB. 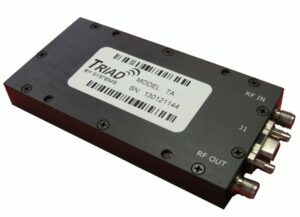 Our solid state RF power amplifiers are ideal for unmanned vehicle applications such as UAV data links. We select the best FET technology for the application, maximizing linearity while minimising DC power consumption and thus heat emission. 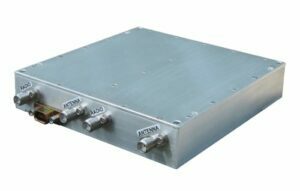 All of our power amplifiers have DC sections with advanced features including protection against over, under, and reverse voltage conditions. We also offer modules with our Versatile DC Supply (VDSTM) technology, eliminating the need for external DC converters and resulting in greater overall system efficiency. In addition, we have integrated monitoring and control sections that are powered by microprocessor, FPGA and CPLD ICs. These provide functions such as RF power measurement, temperature monitoring, DC monitoring to the device level, and many other configurable alarms and warnings that can be tailored to the customer’s system requirements. 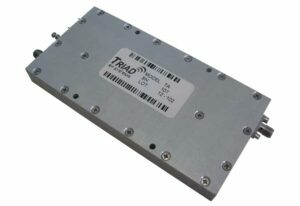 Our RF Amplifiers are available in frequencies up to 18 GHz, with bandwidths of 200-800 MHz for standard models and up to 12000 MHz for broadband. 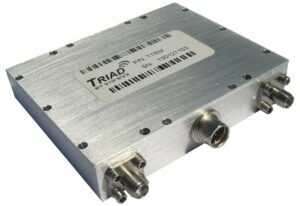 By submitting this form, you consent for your details to be sent to Triad RF Systems and its authorized partners in order to respond to your inquiry. Depending on the location of the organization, your personal information may be transferred and processed outside of the European Economic Area.